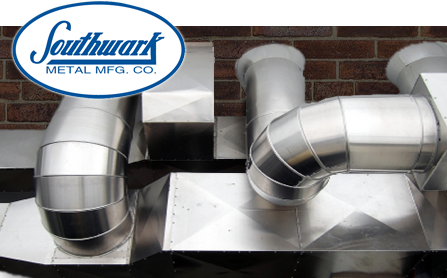 We are proud to stock the Southwark line of sheet metal for many standard fittings, pipe, collars, etc. However when your job requires a little bit more than just standard fittings, our full service manufacturing facility is ready to step in. We are capable of many custom pieces such as plenums, canvas connectors, special collars, transitions, etc. Lean on our years of experience in making custom sheet metal to make your next job the easiest ever. Below is a list of items that we make everyday in our shop. If you don't see something that you want let us know... we always enjoy a challenge.